In the country’s build up for its national celebrations, the government will aim to make a new feat that would cement its position on the world map (and on the world record list). This is a great way to promote camaraderie and nationalism as achieving this feat would instill a great sense of accomplishment for the government as well as its citizens, at a time when new policies which will dictate how the Kuwait manpower landscape is going to settle down in years to come. 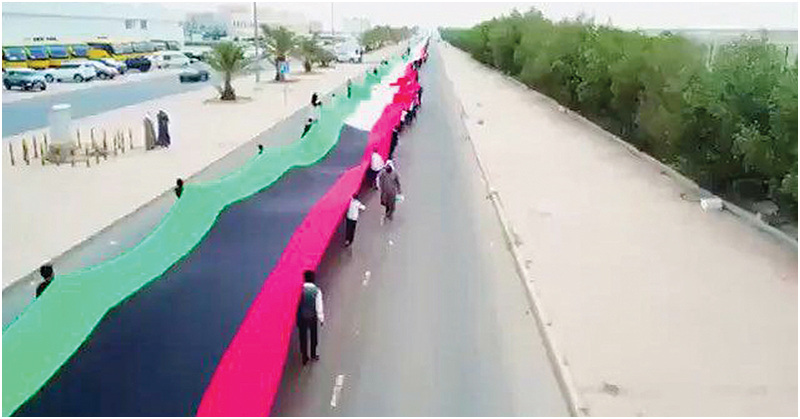 Kuwait is aiming to claim a spot in the Guinness Book of World Records by achieving the world’s longest national flag, which comes at a time when Kuwait is gearing up for its national celebrations, as shared in a report by the Kuwait Times. On this note, the Mubarak Al-Kabeer Educational Directorate of the Ministry of Education is getting the preparations laid out to enter the Guinness Book of World Records by organizing a celebration of bannering the longest national flag spanning a length of 2,019 metres, in collaboration with more than 4,000 students and teachers on February 10 (Sunday). The ceremony for the event will be held under the support of Minister of Education and Minister of Higher Education Dr Hamid Al-Azmi, with the participation of the Defense and Interior Ministry, Civil Defence and international arbitrators. As part of the preparations for this national event, Chairman of Mubarak Al-Kabeer Educational Directorate Mansour Al-Dehani has organized several committees to work on arranging and preparing for the ceremony, which will be attended by parents, students, citizens, and residents. The event coincides with the country’s 58th Independence Day, 28th Liberation Day and the 13th anniversary of His Highness the Amir Sheikh Sabah Al-Ahmad Al-Jaber Al-Sabah’s assumption to leadership.